As nice as a mani pedi combo is, sometimes a 15-minute hand massage just isn’t enough. There’s no better way to decompress and de-stress than to take the whole day—a spa day, that is. We’ve caught up with our favorite Travel Curator Melanie Brandman, who happens to be as spa-savvy as she is well traveled for her top spa resorts. From Thai treatments in Arizona to Swedish massages in Morocco, prepare to get pampered. La Mamounia is iconic for its opulence and traditional Moroccan decor, but this Marrakech hotel offers more than the run-of-the-mill spa—this is a veritable 27,000 square foot underground oasis. Newly renovated and boasting a large indoor pool, candlelit chambers, and the hotel’s signature scent—which definitely leaves a lasting impression—this hammam takes rejuvenation to the extreme. 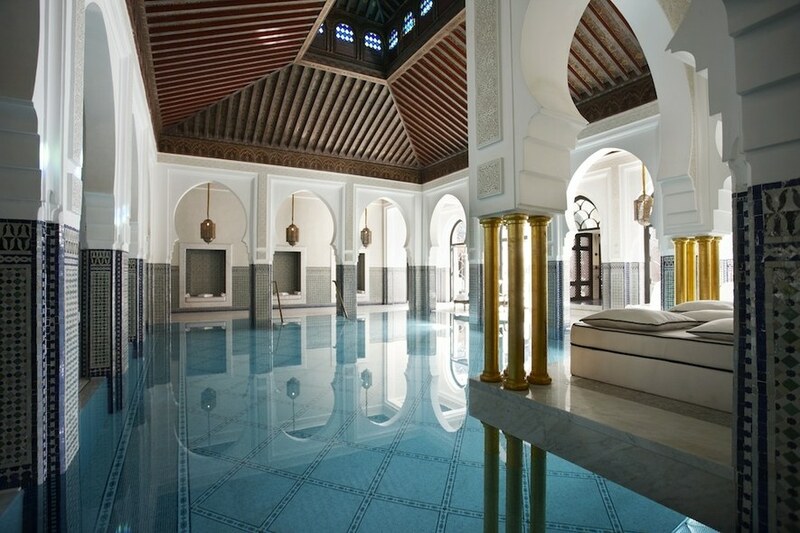 The treatments will leave you languid… say, on a daybed suspended above the mosaic-tiled pool? Not surprisingly, The Bulgari Hotel has designed a glittering jewel of a spa. 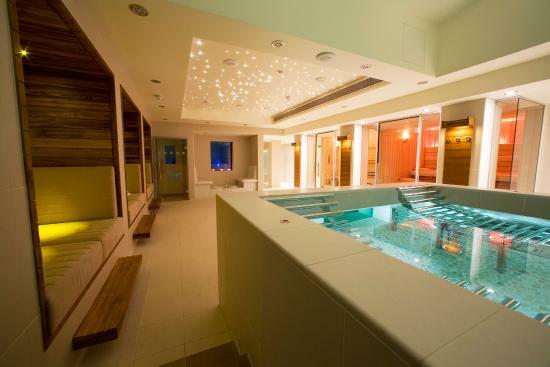 London-located, this spa has it all (and much more): a swimming pool, a vitality pool, a relaxation room, eleven body and facial treatment rooms, a fully-equipped fitness center, and a nail salon. 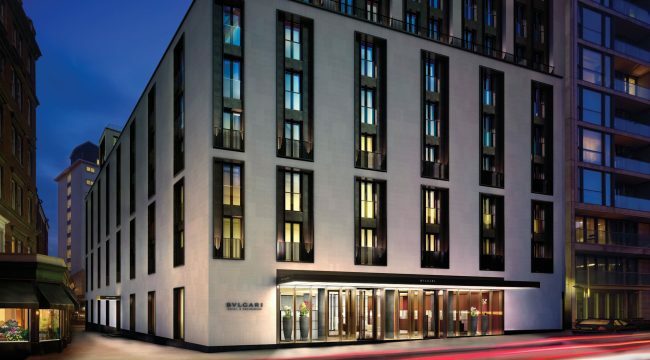 From diamonds to day spas, there’s no arguing that Bulgari has fashionable luxury down pat. 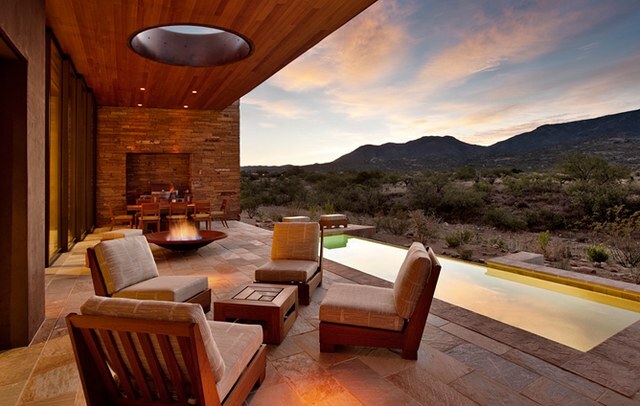 With its warm weather and cool treatments, no spa does New Age-y quite like Miraval. Surrounded by Tucson-typical cacti and desert plants, this sustainable and spirited spa follows up massages with chakra-reading seminars and healing ceremonies. I have been known to chase my outdoor botanical mud wrap with a tasty concoction from the juice bar. Priding itself on “life-enhancing minimalism,” this place proves that simple can be sophisticated. 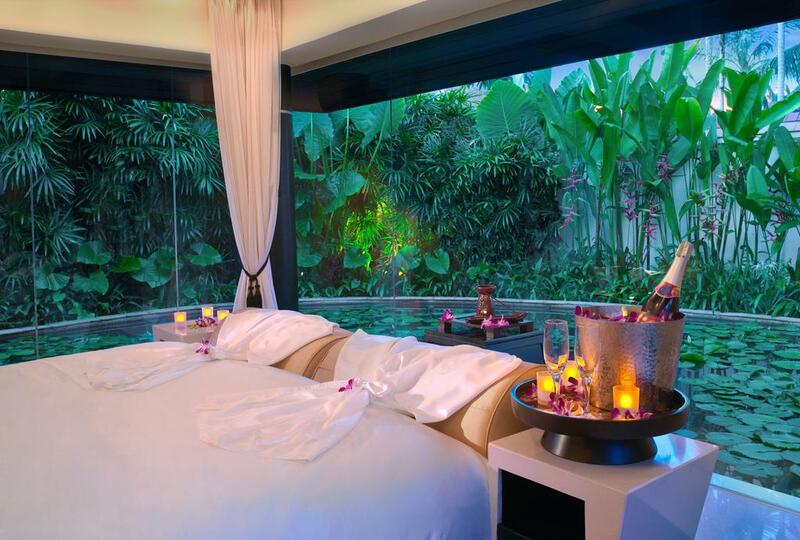 Before discovering Banyan Tree Phuket, I thought that a 90-minute massage could induce ultimate relaxation. After experiencing this top spa resort’s signature three-hour Royal Banyan treatment, I have been spoiled beyond return. 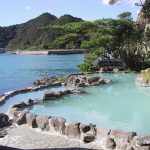 Complete with a mint footbath, a lemongrass-and-cucumber rub, a massage using Thai herbal pouches and a bath in a flower-filled tub, I was relaxed, rejuvenated and ready for a repeat. No explanation needed as to why I never want to leave this Phuket paradise.